In NYC, a city where everyone's favorite dive bars and ramen shops are cash-only, ATMs are a necessary evil -- we use them despite our assumptions that they're caked with filth. Turns out we were right... and it's even worse than we thought. A recent study has confirmed that yes, the cash machines we use on a daily basis are in fact brimming with microbes. 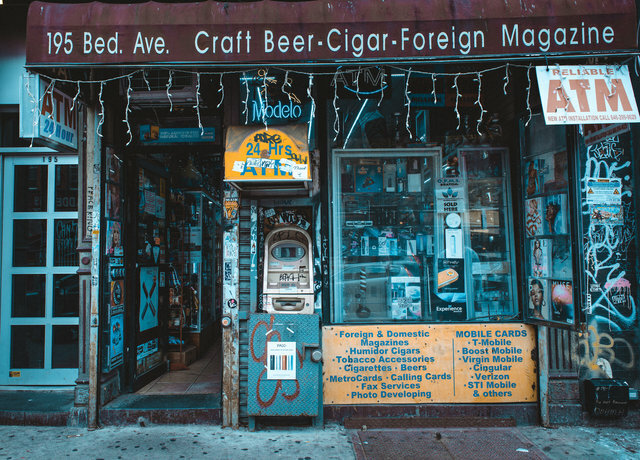 The study sampled keypads at 66 ATMs located across the five boroughs, and although "the vast majority of ATM microbial communities were derived from an 'unknown' source,'" researchers also found microbes traced to human skin and feces. Really makes you wonder what those "unknown sources" are, right? Additionally, the microbial melange present on each of the ATMs varied according to their location, providing a snapshot of our dining habits: researchers found higher concentrations of chicken particles, fish particles, and a specific fungal species associated with baked goods in different parts of town. Obviously, 66 ATMs isn't the largest sample size in the world, but the study states ATM keypads are "a specific and unexplored habitat for microbial communities," suggesting that we should probably take a closer look at them if we intend to continue paying for things in cash. Which, given our proclivity for tiny, hole-in-the-wall restaurants, we clearly do.